BNZ is delighted to sponsor Auckland’s second CDAO conference. We believe that the advances in data and analytics is a global trend that can’t be ignored and requires ongoing investment. To that end we have been building our analytics infrastructure and capability for several years as a critical enabler to our long-term strategy. A significant part our progress to date has been working with both local and international partners – it will be great to see many of those organisations and potentially meet new ones at the event. Increasingly analytics and insight is being applied to organisations biggest opportunities. At BNZ our mission is to enable a higher achieving New Zealand by helping Kiwis be good with money. This is an aspiration and opportunity that lends itself to customer research and analytics. Consequently, BNZ is now putting the components in place to meet that demand. That does include expanding our analytics community who already today are exploring new operating models like lean analytics and implementing our AI agenda. Inspired by possibility. Driven by process. Powered by people. NOW Consulting was formed with one goal in mind – yours. Seeing our clients succeed drives all that we do, and by looking to the future while carefully considering the ‘now’, we strike a balance between long-term strategy and pragmatism. We’ve been doing that as WhereScape for nearly 20 years, and now we’ve got our own brand – NOW Consulting. Our team is driven by the art of the possible. We go above and beyond to discover the potential of your data. Then we make it happen. Data is the life-blood of digital transformation and we understand how to turn data potential into insights that drive results. We take real ownership of what you want, with a focus on rapid delivery, agile thinking and proven value. We love data, and we love a challenge. Give us your biggest problem, and we’ll find a solution for success. Certus Solutions are the leading Australia & New Zealand IBM systems integrator, servicing many of the region’s largest enterprise customers. We transform IT systems into business outcomes that effect sustainable change, create stakeholder value, augment human capability, and delight those that use them. We are change agents: Certus consultants draw upon wide and deep domain expertise in Data Management & Governance, Single Customer View, Big Data, and all things Analytics - to help our customers create high-value iterative business solutions. As the exclusive Data Vault 2.0 training partner for A/NZ, our Certus coaches and delivery teams help deliver on the promise of Agile information management across both Big Data and traditional data warehouses; enabling trusted and timely insights across structured and unstructured data. Predominantly owned and operated by its executive management team, Certus employs over 200 people servicing 600+ clients from offices in Auckland, Brisbane, Melbourne, Newcastle, Sydney and Wellington. enterpriseIT is the employer, partner and supplier of choice for innovative data services anywhere. In a market dominated by generalist technology service providers we are recognised for our experience, technical skills, flexibility and professionalism and passion for what we do. Our knowledge of cloud, database, Linux/UNIX, BI, Big Data and Analytics environments is deep because, individually, we have spent years architecting, delivering and managing some of the largest and most complicated environments in New Zealand and overseas. We are a dedicated, professional team. When you come to us you access technically proficient Oracle, AWS, Microsoft and RedHat certified professionals, project managers with ITIL® qualifications for IT Service Management, and senior IT Solution Architects with TOGAF® certifications. Choosing us as your data services provider is about selecting a partner that has your best interests at heart. Hudson is a market leader in specialist recruitment, giving you the best of both worlds – a global network with a local, personalised focus. That means our range and breadth, combined with the ability to build long-term partnerships and to nurture talent helps us connect people to the right opportunities. In a world of generalists, Hudson are true specialists. Our understanding and deep penetration of the market has allowed us to build unparalleled networks in the analytics space, giving us access to some of the best talent in the sector today. Understanding our clients’ specific needs as well as our candidates’ skills and strengths ensures greater accuracy in our placements. Our approach is targeted, tailored and consultative. By applying proprietary tools and specialist recruitment expertise we pinpoint individual’s competencies and motivations – matching analytics jobs to job seekers with the right culture and role for long-term performance. FIRN Analytics is a cloud analytics company based in Auckland. Our lead consultants have many years’ experience in the Data Warehouse, Business Intelligence, Analytics and Marketing industries. We have expertise in analytics technologies and specialise in implementing and supporting products, along with building bespoke cloud solutions and creating actionable insights through data storytelling and consulting. We partner with a full stack of modern, best-of-breed products as defined by Gartner, to create an end-to-end solution, from the Preparation and Ingestion of Data (Alteryx), through to Data Storage that delivers performance, concurrency and affordability (Snowflake), automated machine learning to quickly build and deploy accurate predictive models (DataRobot), then then drag and drop to create visualisations and insights, sharing with a click (Tableau). We also provide bespoke Marketing Services along with the ability to target via Segmentation and Digital or Traditional Marketing. At the CDAO conference we will be running live demo’s of our software services and are willing to meet with you one-on-one to have in-depth discussions regarding your data and analytical aspirations and goals. Please visit our booth and say hi. Mastersoft Group Pty Ltd (Mastersoft), a member of the VIX Verify Group, is a leading provider of data quality and address validation software services to leading organisations in Australia and New Zealand. Mastersoft has been delivering software solutions for over 35 years to customers across a wide range of industry sectors such as finance, insurance, superannuation and government. Mastersoft delivers software, services and expertise to allow organisations to take control of their data and identify their customers ensuring productive relationships with their customers. It designs and develops reasoning-based technologies that provide powerful cleansing; standardisation; validation and matching of customer information. Many of its projects focus on delivering foundational data quality and address validation services to support and manage key business activities such as: single customer view; customer master data management; spatial analysis; smart and effective customer on boarding through websites and mobile applications; and AML/KYC compliance. OSS Group are New Zealand's leading data integration experts. Our Cloudera Big Data platforms and Talend Data Fabric integrations deliver business advantage, through business insights driven from quality data. With 90 people across 6 NZ locations, we can support you from concept to completion; and you will recognise our enterprise clients, from finance to insurance, and automotive to tertiary education. Theta Analytics specialises in data warehousing, business intelligence and analytics strategy, consulting and implementation. 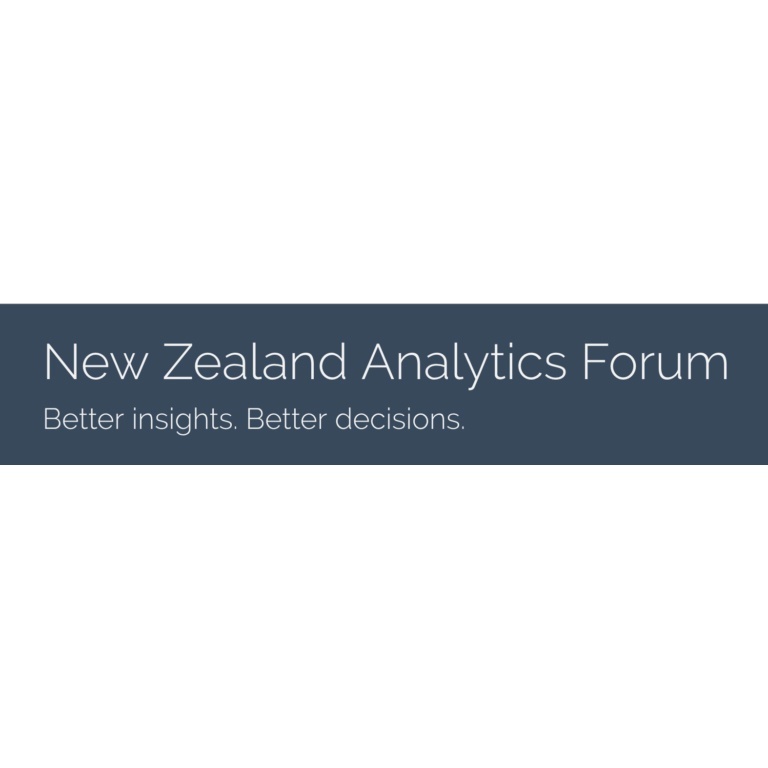 With over 60 New Zealand based analytics consultants we deliver strategy, architecture, data modelling, design and delivery. We are also skilled in data lakes, data visualisation and dashboards and advanced analytics. We work with all mainstream data warehouse and BI technologies and provide customised training. Our experienced BI and analytics consultants deliver versatile solutions targeted to your needs. Established in 1995, Theta is a technology consultancy with offices in Auckland, Wellington, Christchurch, and Tauranga. We help organisations transform their businesses with technology. We design, deliver and support solutions across four key areas – analytics, software development, business solutions and systems management. Our team of 200+ experienced professionals work with our customers to get projects across the line and get them right. We deliver smarter solutions, together. CoreLogic is the home of property intelligence. We are the leading property information, analytics and services provider in the United States, Australia and New Zealand. Our dynamic and customised data and insight touches New Zealanders at all levels, from the government down to everyday Kiwis, and plays a part in a multitude of industries that drive our economy. We help emergency services get to you wherever you live. We power some of New Zealand's leading banks and finance companies with their mortgage and insurance decisions. And when real estate agents determine just how much your home should sell for, we have a hand in that too. Tenzing was formed in January 2008 from the BearingPoint New Zealand consulting business. Tenzing has continued to provide the same high quality management and technology consulting services to the New Zealand market, as we did for over 20 years as KPMG, KPMG Consulting and BearingPoint. In this time we have developed a proven track record in delivering innovative technology solutions and complex business transformations. Tenzing is a name with a strong link to one of New Zealand’s finest moments in history – Sir Edmund’s famous feat on Mt Everest in 1953, where he was most ably assisted by the Sherpa Tenzing Norgay. As Tenzing did then, we work collaboratively with our clients to understand their challenges, and assist in achieving their aspirations. As part of this ethos we serve our “clients for life” and we remain committed to delivering high-quality professional services.